On Friday, Illinois Governor, Bruce Rauner, signed a new bill into law which takes affirmative steps to try to solve the bail problem in Illinois. The bill, called the Bail Reform Act, makes some significant changes to the bail process in Illinois and seeks to deal with the problems faced by people who are charged with minor crimes who are stuck in jail because they are unable to come up with the low amount of cash to post bail so they can be released. I recently posted an article about a 60 Minutes episode which points out the numerous problems with Cook County Jail. In that article, I pointed out that last year, over a thousand people spent more time in Cook County Jail than what they were eventually sentenced to by the court. What was most disturbing is that just as many people spent over 222 years more than what they were eventually sentenced to. The main reason behind this was that non-violent offenders, who were charged with minor crimes, were not able to come up with the low amounts of cash needed to post the bail needed to get out of jail. As a result, they were stuck in Cook County Jail until their case was finished. Tom Dart, the Cook County Sheriff, the man who is in charge of running the day-to-day operations of Cook County Jail, has long been an advocate for reforming the Bail process. He has been pushing the Illinois Legislature for a number of years, to address the Bail process so that this injustice of forcing people who are poor to sit in jail for many months just because they are poor. I pointed out in this article that the Illinois Legislature is working on steps to try to deal with this problem. This new law, which was signed on Friday, is a step towards moving away from requiring people to post bond for relatively minor crimes. This new law makes several changes to the Bail process in Illinois. For one thing, this new law specifically states that a cash bail is not required for people who are being charged with a non-violent misdemeanor or a low level felony. The types of crimes that this refers to are theft, prostitution, and DUI’s. This new law provides that there should be a presumption that any bail set in cases like this should not be monetary. Instead of being required to post a cash bond, the court should first consider electronic home monitoring, orders of protection, curfews, drug and mental health treatment, and in-person reporting. If the court sets a cash bond, and the defendant is unable to post the cash, a rehearing must be held within 7 days. The presumption that the bail set in low-level crimes should not be cash, and the requirement that a bond re-hearing occur within 7 days if the cash is not posted, are major changes to the bail process in Illinois. These changes will require that all of the courts in Illinois adapt to these new legal requirements in a way that should drastically change the day-to-day bail process in Cook County, DuPage County and Kane County. While this new law is a step in the right direction, it still has its detractors. This new law does nothing to deal with the fact that Cook County Jail has become the largest mental health treatment center in the world. Noticeably absent from Friday’s signing ceremony was Cook County Sheriff Tom Dart. A spokesperson for Sheriff Dart told the media that Tom Dart did not attend the signing because he is not happy that the new law does nothing to deal with the gang members, who are able to post cash bond with money posted by gangs, and are able to be on the street while being charged with dangerous and violent crimes. Sheriff Dart believes that Cook County Jail has become a revolving door for gang members who are able to post cash from gangs and are able to bond out while poor people, who are charged with low-level nonviolent crimes, are stuck in jail because they are poor and cannot come up with the cash. You know that the bail problem in Illinois is a big problem when you see Democrats and Republicans come together and pass legislation in today’s toxic environment in Springfield. Chicago criminal defense lawyer, James Dimeas, has been handling Bond Hearings throughout Chicago, Cook County, DuPage County, Kane County and Lake County for over 25 years. James Dimeas is a nationally-recognized, award-winning, criminal defense lawyer. James Dimeas was named a “Best Criminal Defense Lawyer in Chicago” in 2017, a “Best DUI Attorney”, a “Top 100 Criminal Defense Trial Lawyer” by The National Trial Lawyers, and a”10 Best Attorney for Client Satisfaction” by the American Institute of Criminal Law Attorneys . The American Society of Legal Advocates have named James Dimeas a “2018 Top 100 Lawyer.” AVVO rates James Dimeas as “Superb”, the highest rating possible for any lawyer in the United States. 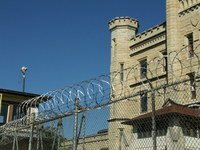 Cook County Jail – A Symbol of What’s Wrong With Our Criminal Justice System, by James G. Dimeas, Chicago Criminal Lawyer Blog, June 5, 2017.